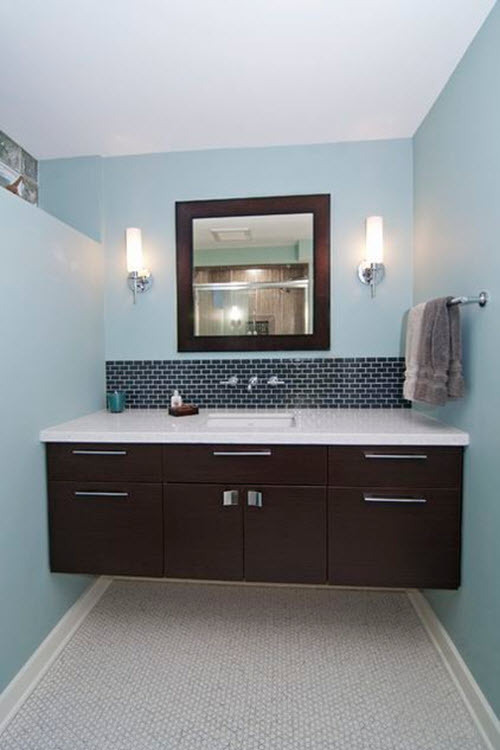 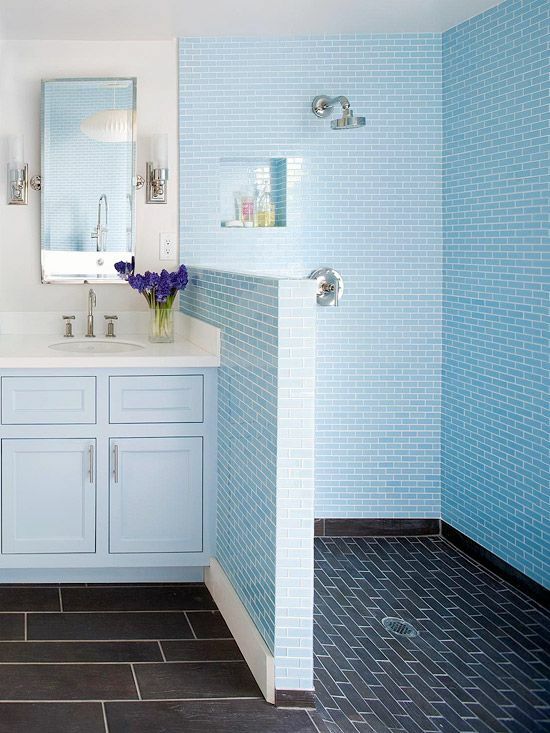 Blue bathroom is already classic as this color is chosen for walls and floor finishing more and more often. 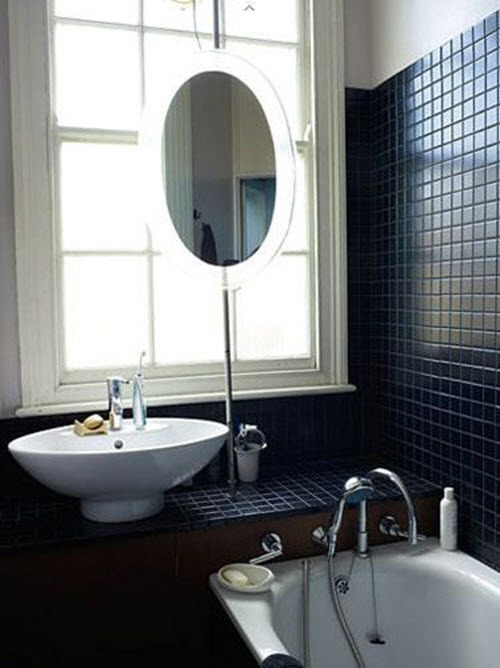 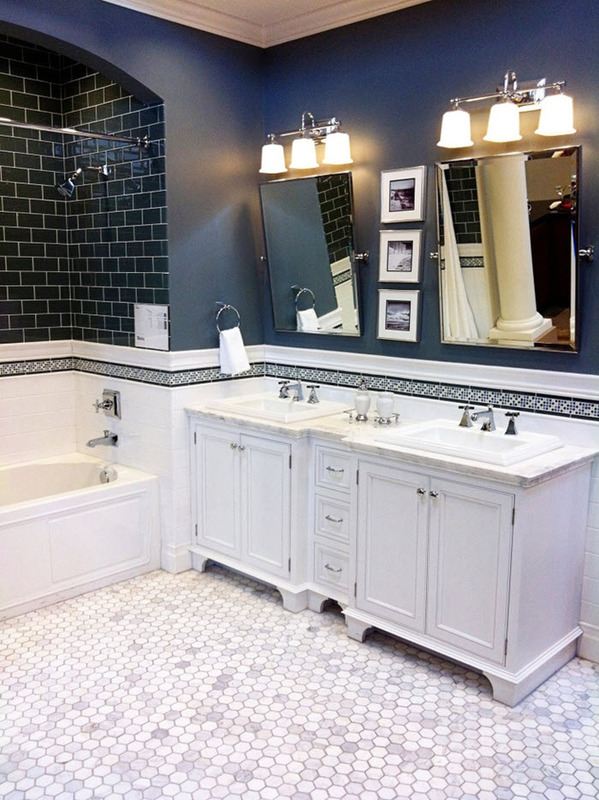 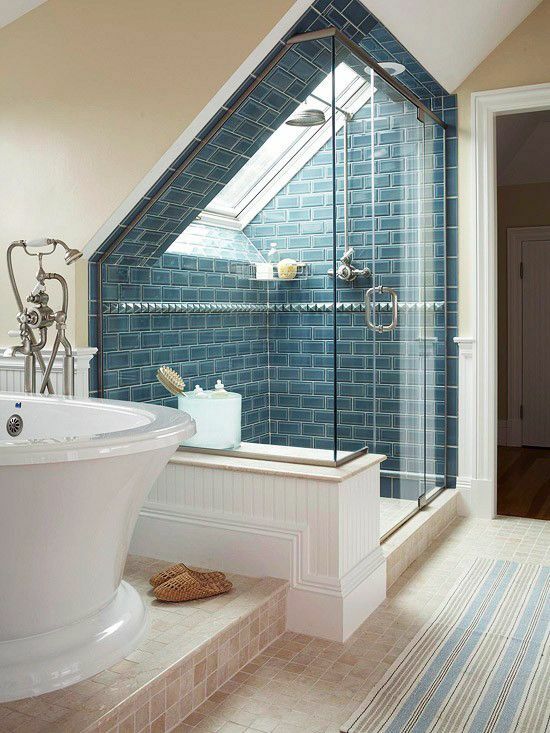 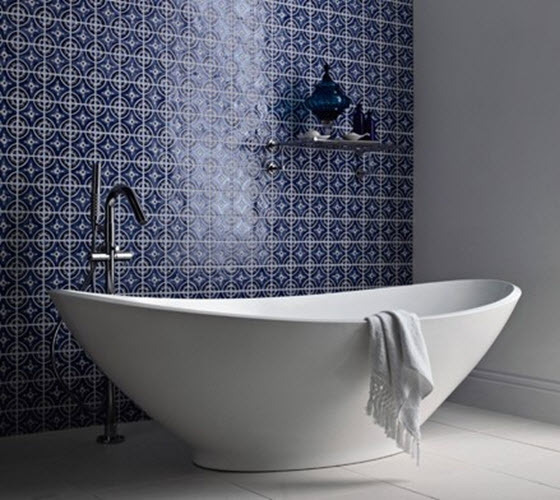 In order to refresh traditional look you can recreate bathroom interior in dark blue shades. 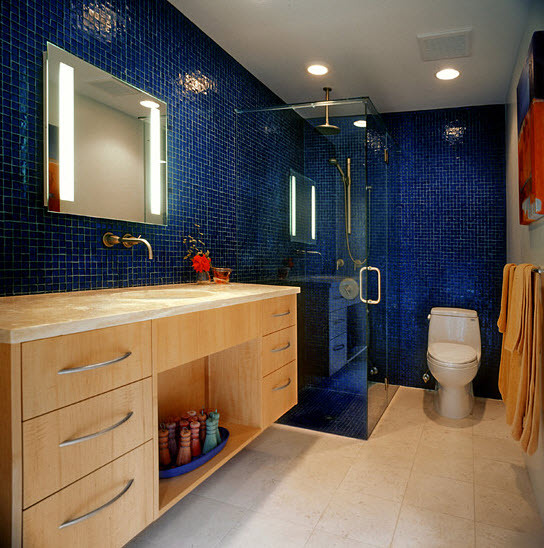 It will give you the opportunity to stand out of many other blue bathroom interiors and make your space look unique and interesting. 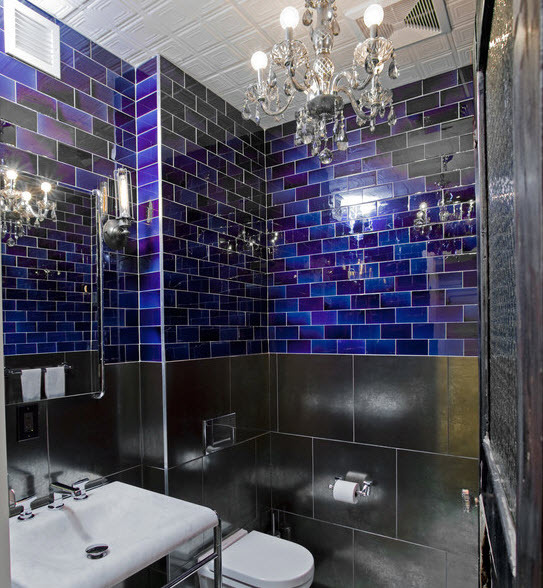 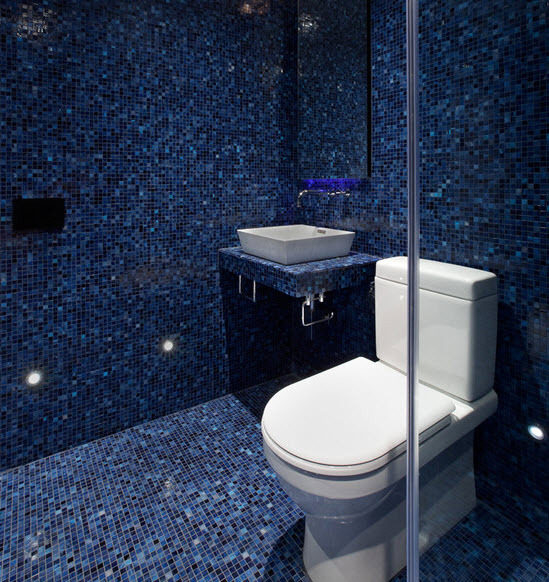 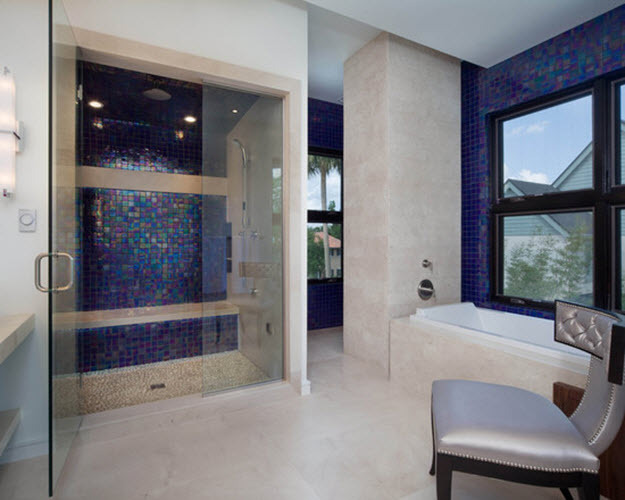 Besides, dark blue bathroom will remind you of night starry sky especially if you use glass mosaic that will shine all around you. 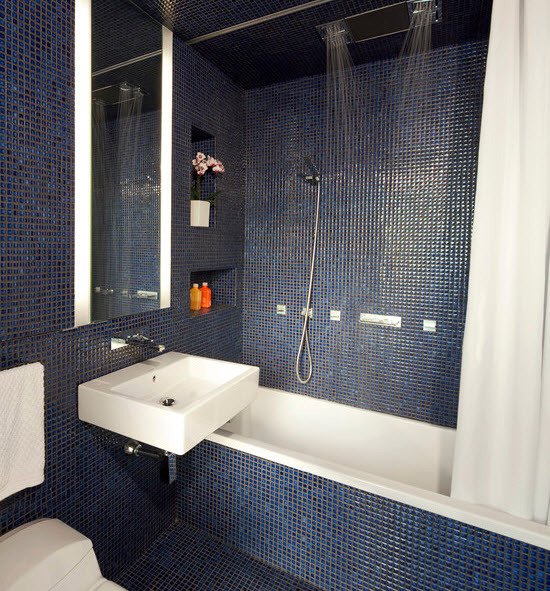 Such interior will not be boring, rather even bright and eye-catching. 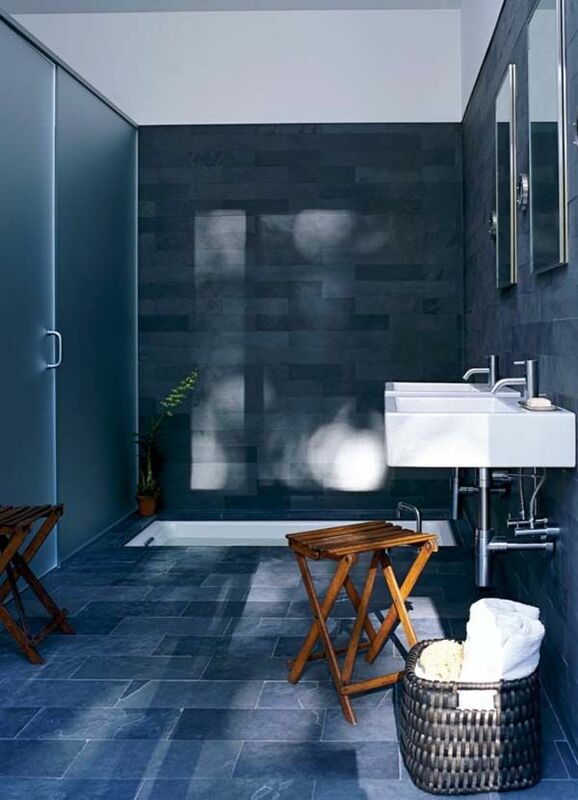 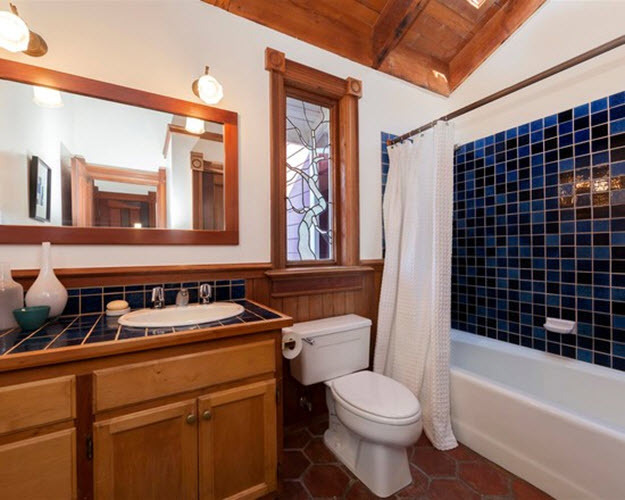 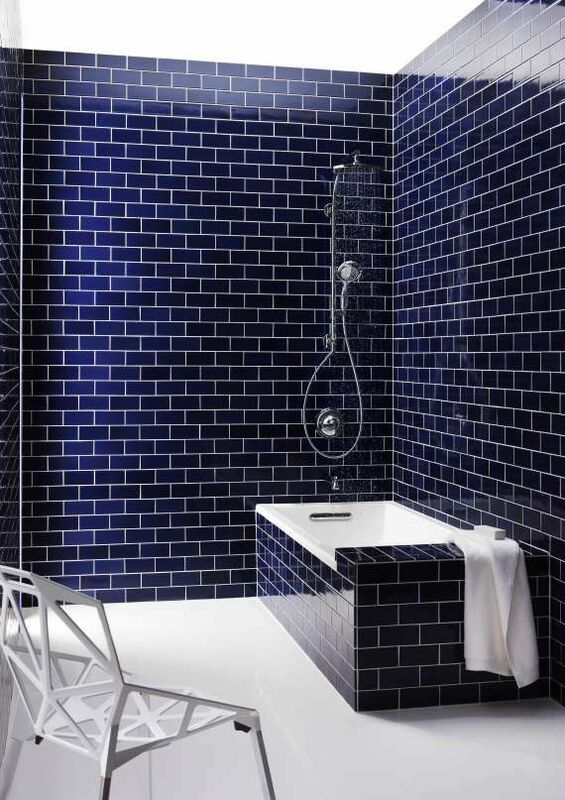 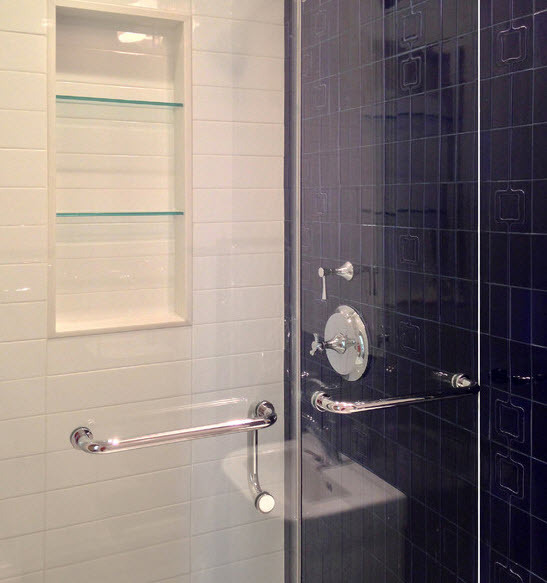 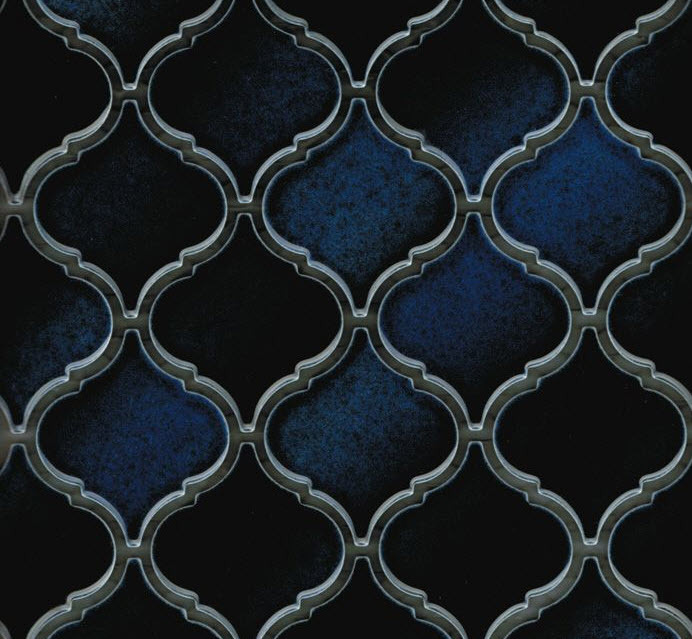 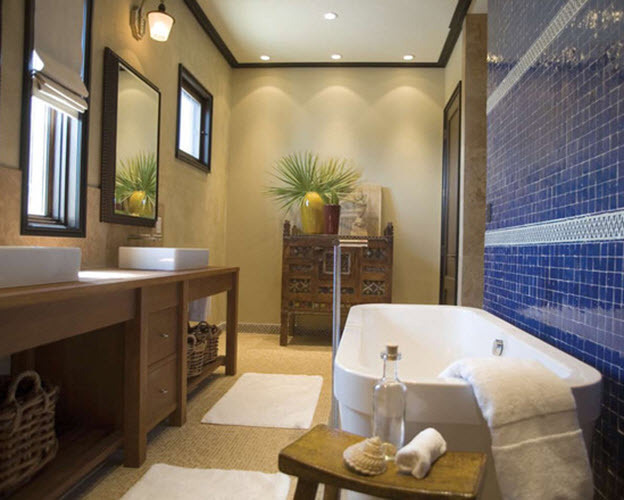 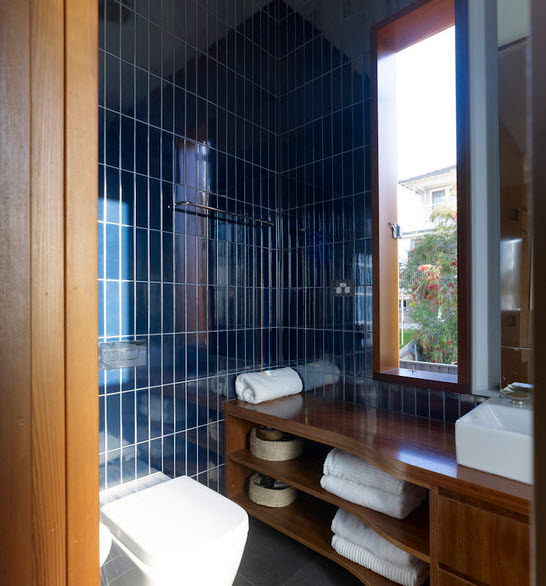 The main kind of material for walls and floor must certainly be dark blue bathroom tile. 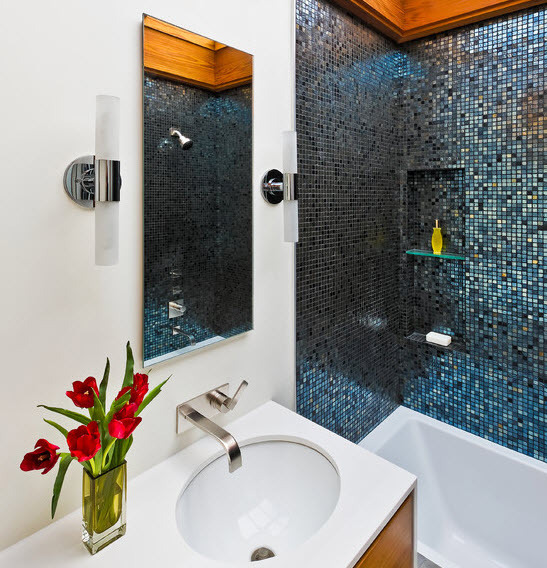 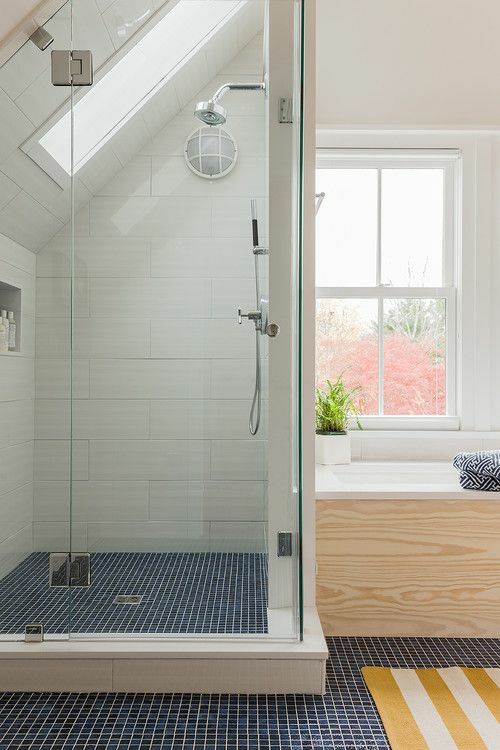 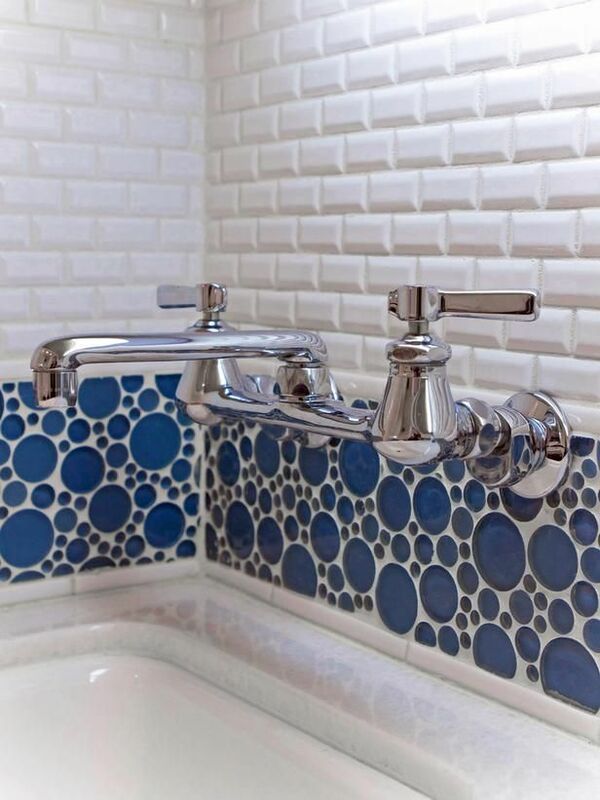 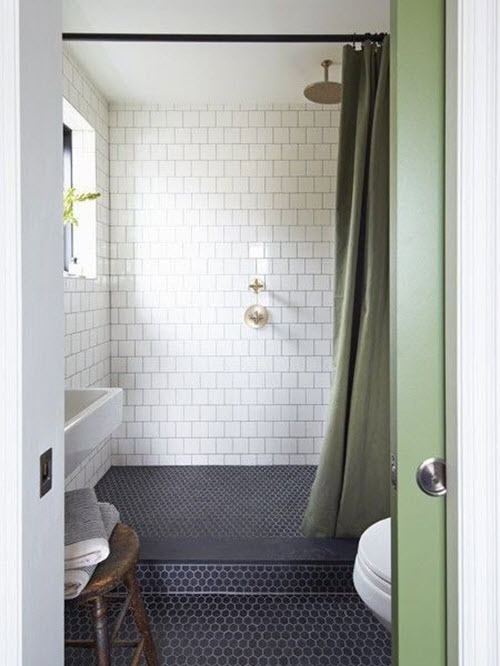 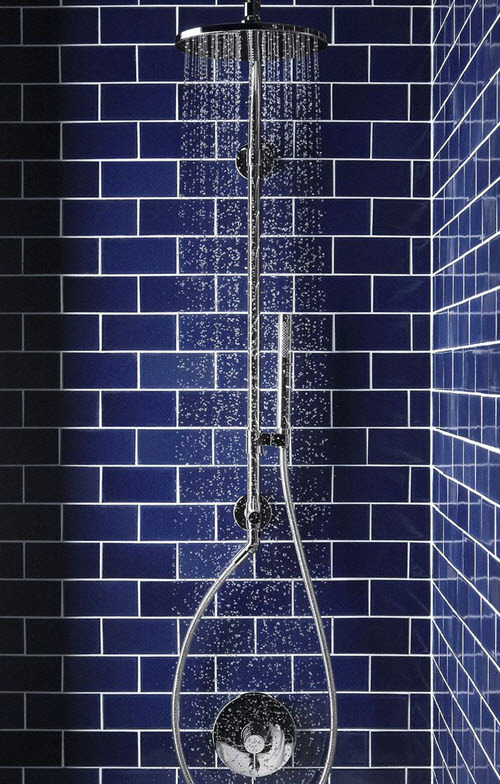 A good option is to use dark blue mosaics or glossy subway tile that will add sparkling effect to your shower area or other parts of the bathroom. 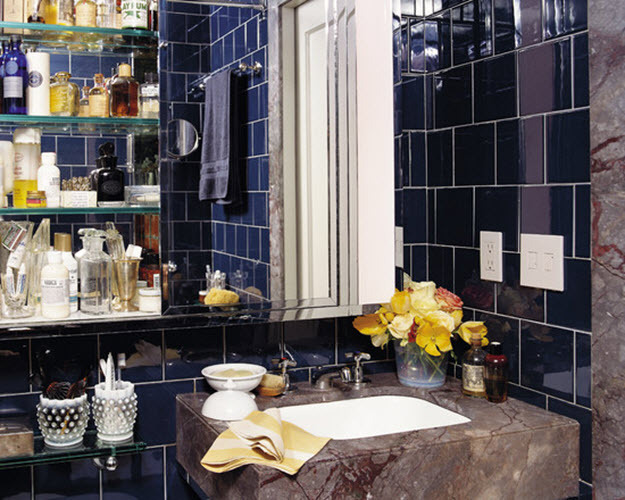 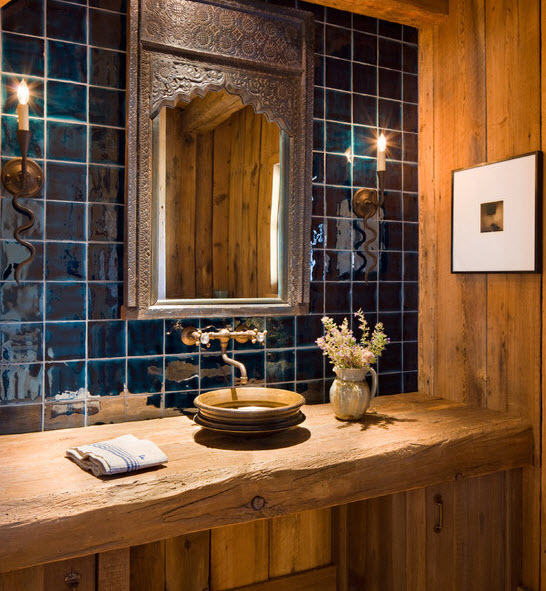 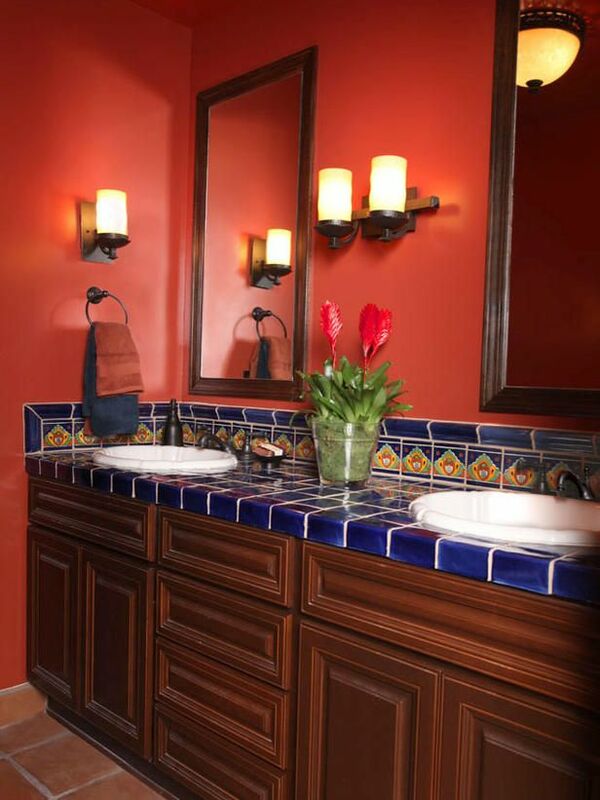 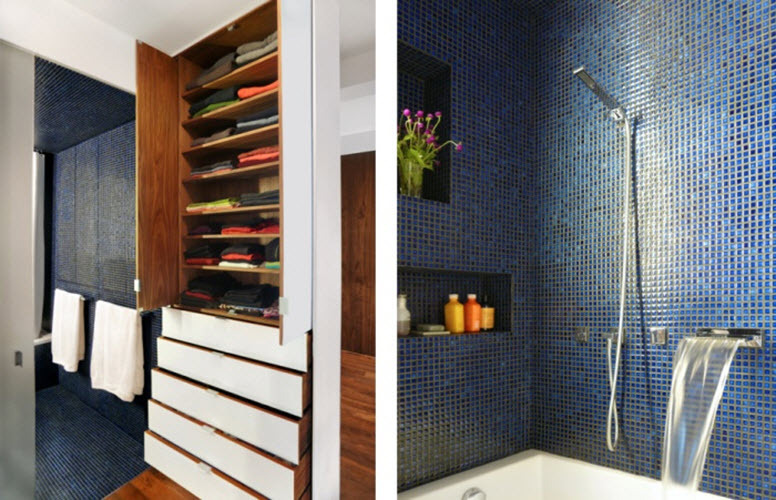 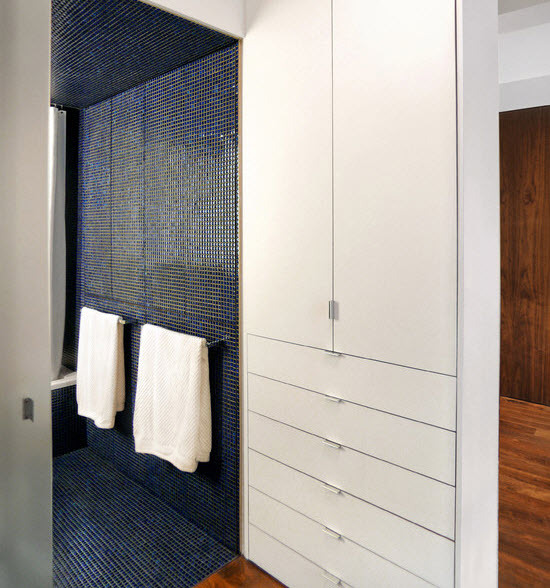 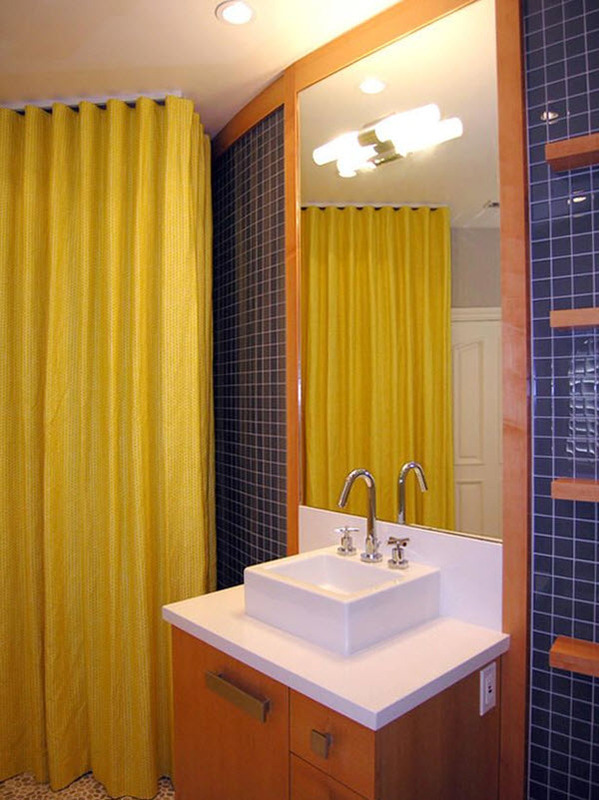 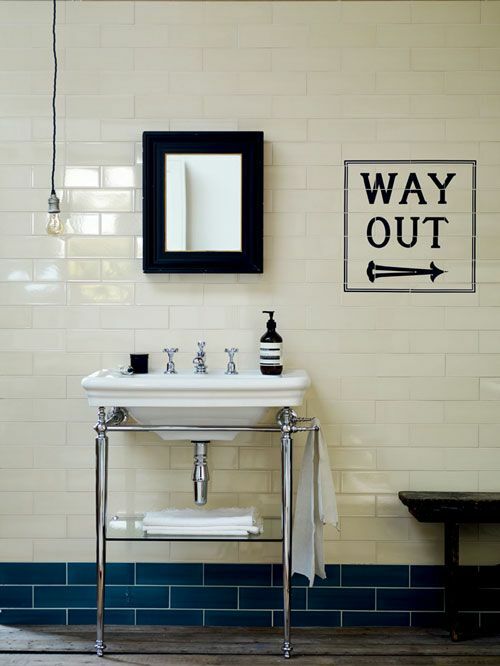 Try to avoid using dark blue on all four walls as it will make your bathroom look smaller and dull. 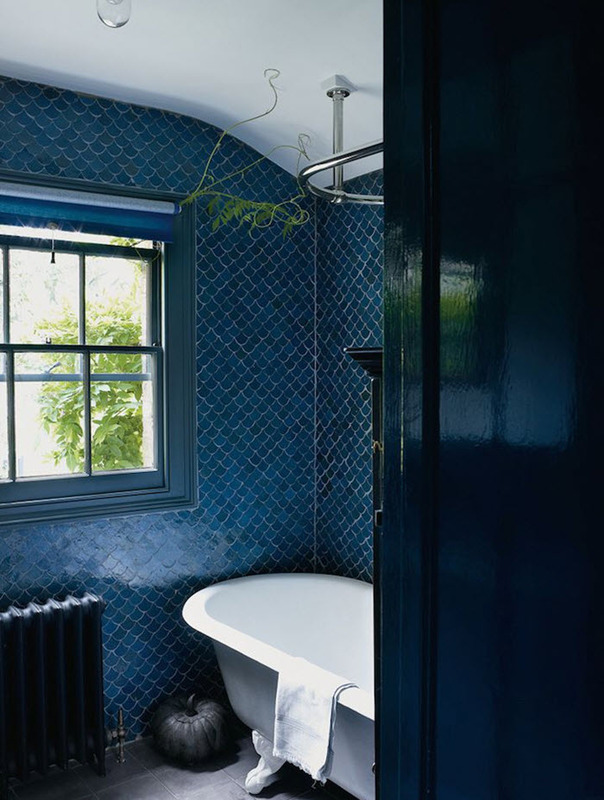 It’s better to combine dark and light shades of blue or play on contrast of dark blue and white. 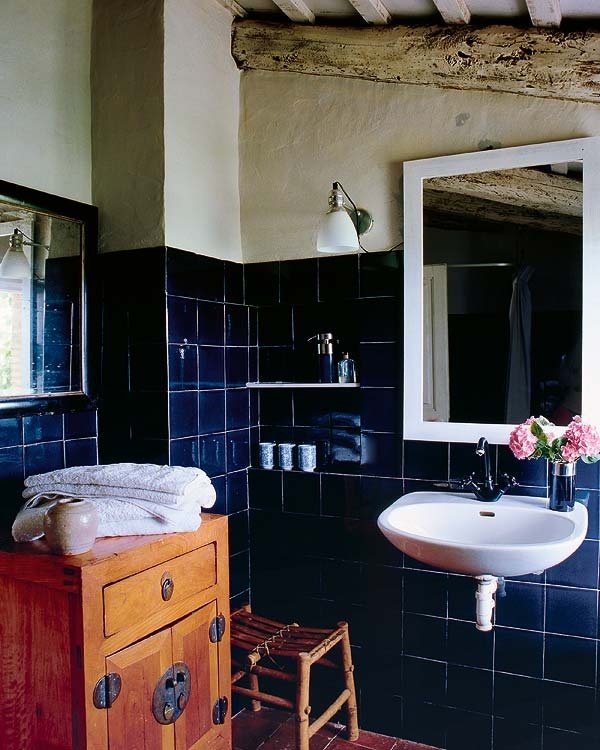 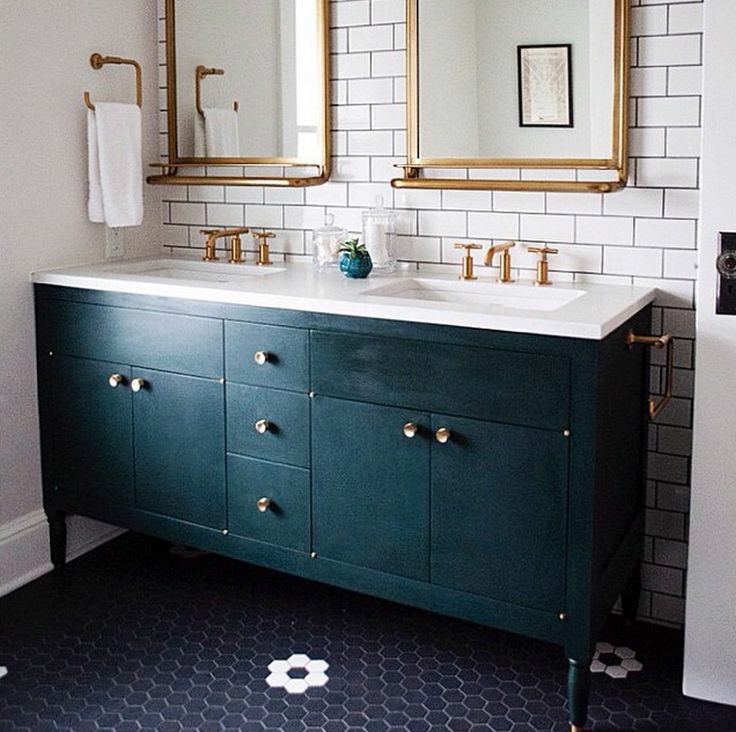 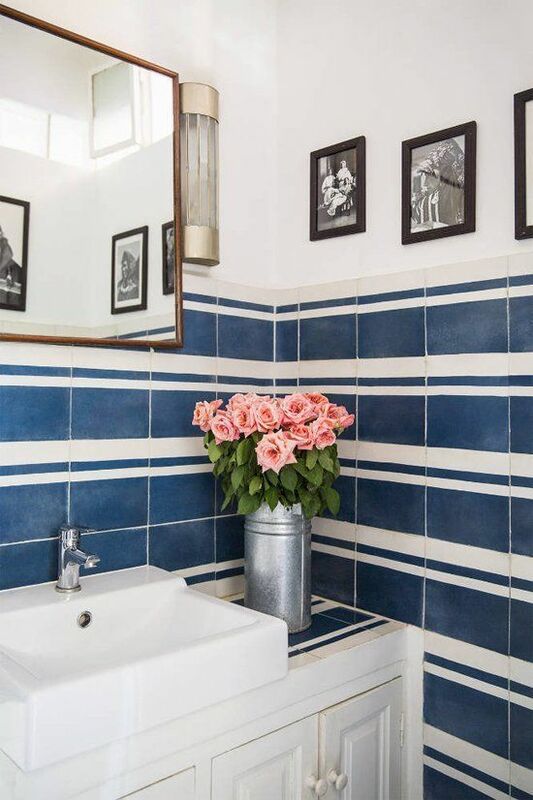 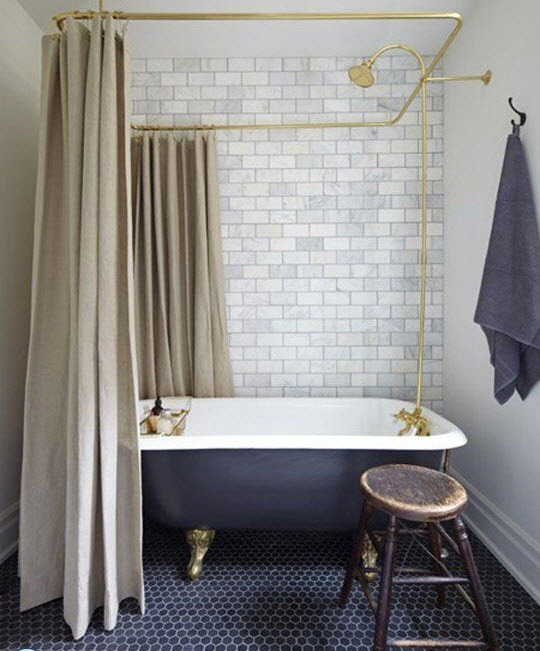 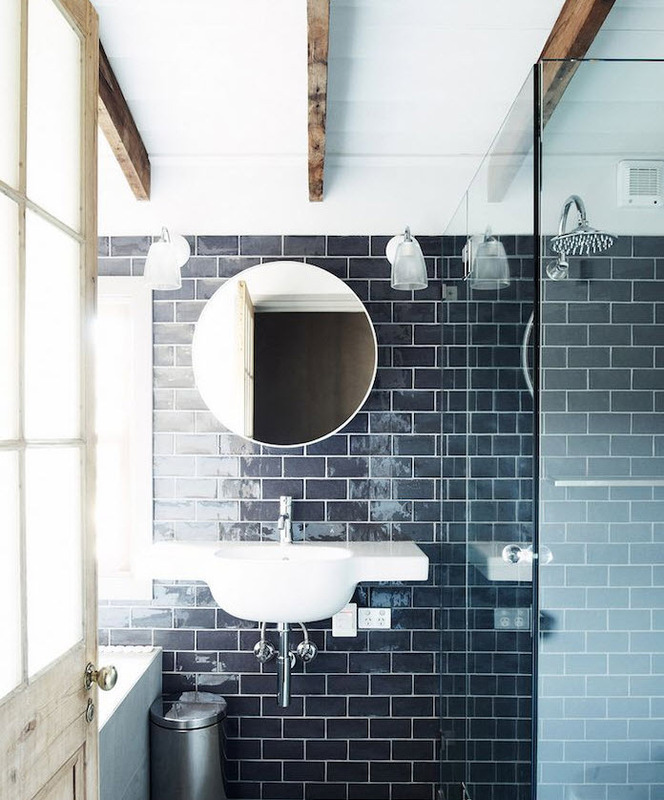 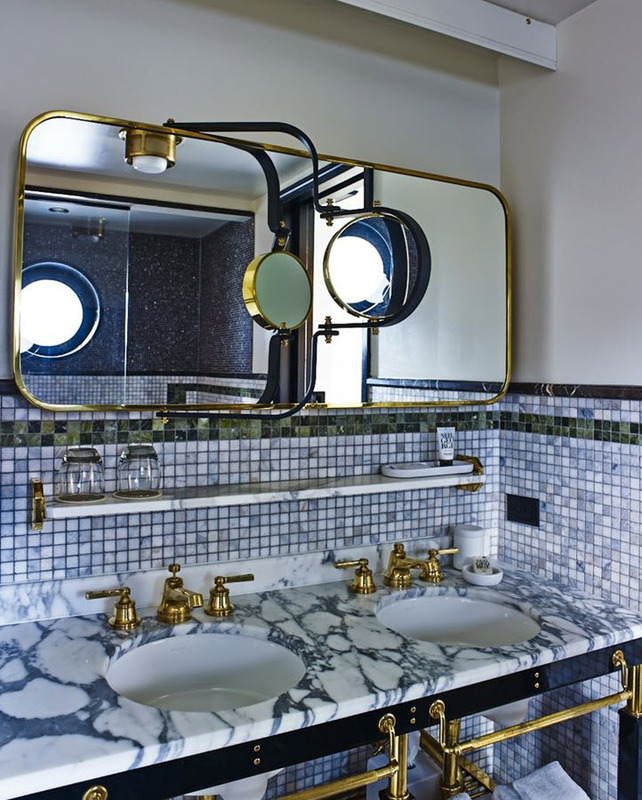 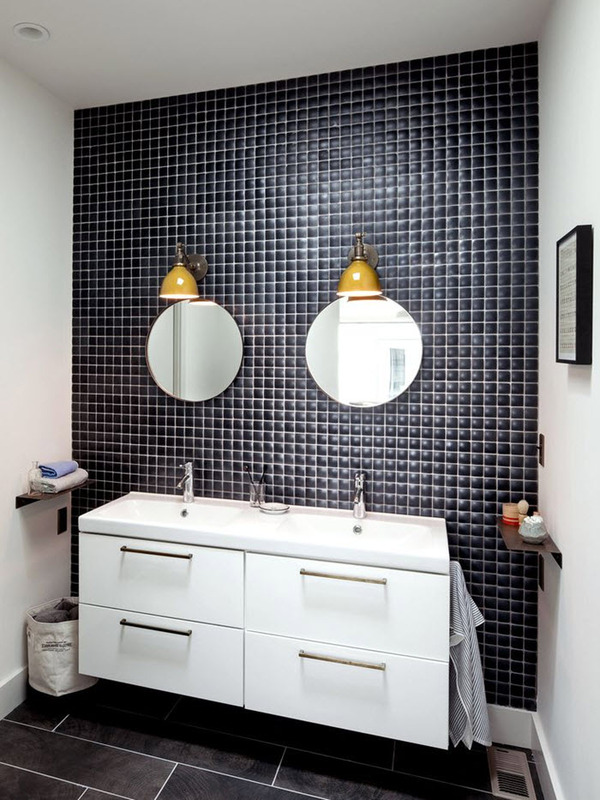 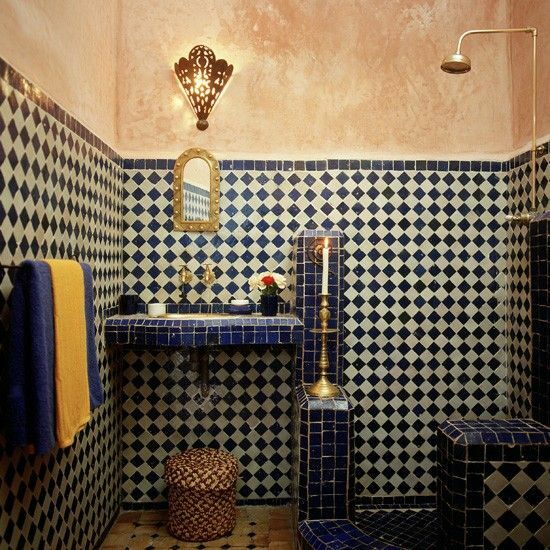 Get inspired by our photo ideas below – they will surely give you some hints on how to use dark blue tile in the bathroom in the best possible way.